Tesla went on to pursue his ideas of wireless lighting and electricity distribution in his high-voltage, high-frequency power experiments in New York and Colorado Springs, and made early (1893) pronouncements on the possibility of wireless communication with his devices. He tried to put these ideas to practical use in his ill-fated attempt at intercontinental wireless transmission, which was his unfinished Wardenclyffe Tower project. In his lab he also conducted a range of experiments with mechanical oscillators/generators, electrical discharge tubes, and early X-ray imaging. He also built a wireless controlled boat, one of the first ever exhibited. 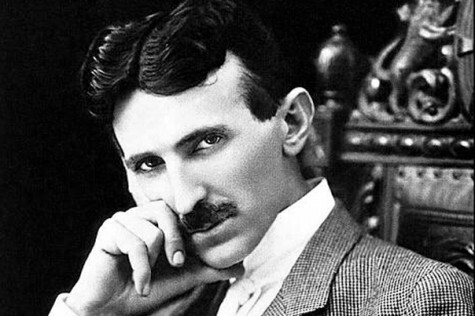 Tesla was renowned for his achievements and showmanship, eventually earning him a reputation in popular culture as an archetypal "mad scientist". His patents earned him a considerable amount of money, much of which was used to finance his own projects with varying degrees of success. He lived most of his life in a series of New York hotels, through his retirement. He died on 7 January 1943. His work fell into relative obscurity after his death, but in 1960 the General Conference on Weights and Measures named the SI unit of magnetic flux density the tesla in his honor. There has been a resurgence in interest in Tesla in popular culture since the 1990s. 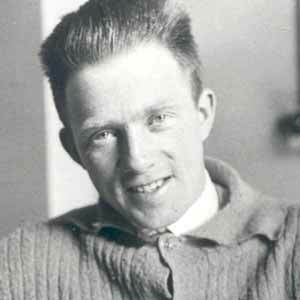 Werner Karl Heisenberg (5 December 1901 – 1 February 1976) was a German theoretical physicist and one of the key pioneers of quantum mechanics. He published his work in 1925 in a breakthrough paper. In the subsequent series of papers with Max Born and Pascual Jordan, during the same year, this matrix formulation of quantum mechanics was substantially elaborated. In 1927 he published his uncertainty principle, upon which he built his philosophy and for which he is best known. Heisenberg was awarded the Nobel Prize in Physics for 1932 "for the creation of quantum mechanics". 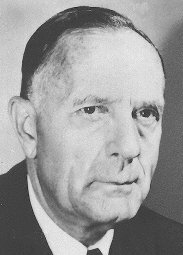 He also made important contributions to the theories of the hydrodynamics of turbulent flows, the atomic nucleus, ferromagnetism, cosmic rays, and subatomic particles, and he was instrumental in planning the first West German nuclear reactor at Karlsruhe, together with a research reactor in Munich, in 1957. An interesting fellow that Tesla. Thanks, bobbym! Certainly, Relentless...I shall add these soon! 40. Benjamin Franklin (January 17, 1706 – April 17, 1790) was one of the Founding Fathers of the United States. A renowned polymath, Franklin was a leading author, printer, political theorist, politician, freemason, postmaster, scientist, inventor, civic activist, statesman, and diplomat. As a scientist, he was a major figure in the American Enlightenment and the history of physics for his discoveries and theories regarding electricity. As an inventor, he is known for the lightning rod, bifocals, and the Franklin stove, among other inventions. He facilitated many civic organizations, including Philadelphia's fire department and a university. 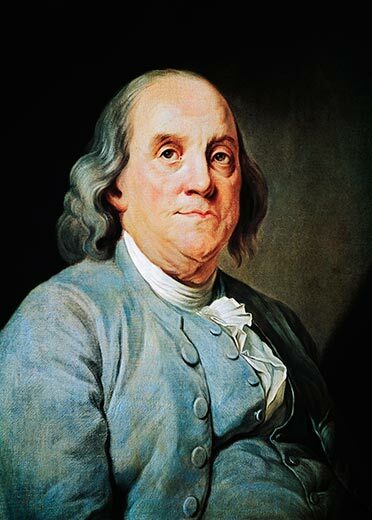 Franklin became a successful newspaper editor and printer in Philadelphia, the leading city in the colonies. With two partners he published the Pennsylvania Chronicle, a newspaper that was known for its revolutionary sentiments and criticisms of the British policies. He became wealthy publishing Poor Richard's Almanack and The Pennsylvania Gazette. He played a major role in establishing the University of Pennsylvania and was elected the first president of the American Philosophical Society. Franklin became a national hero in America when as agent for several colonies he spearheaded the effort to have Parliament in London repeal the unpopular Stamp Act. An accomplished diplomat, he was widely admired among the French as American minister to Paris and was a major figure in the development of positive Franco-American relations. His efforts to secure support for the American Revolution by shipments of crucial munitions proved vital for the American war effort. For many years he was the British postmaster for the colonies, which enabled him to set up the first national communications network. He was active in community affairs, colonial and state politics, as well as national and international affairs. From 1785 to 1788, he served as governor of Pennsylvania. Toward the end of his life, he freed his own slaves and became one of the most prominent abolitionists. His colorful life and legacy of scientific and political achievement, and status as one of America's most influential Founding Fathers, have seen Franklin honored on coinage and the $100 bill; warships; the names of many towns; counties; educational institutions; corporations; and, more than two centuries after his death, countless cultural references. That's good! I think von Neumann is quite underappreciated. I once played around with various lists of names for a bit of fun, in order to create an amateur scale of "revolutionary genius". 41. Blaise Pascal (19 June 1623 – 19 August 1662) was a French mathematician, physicist, inventor, writer and Christian philosopher. He was a child prodigy who was educated by his father, a tax collector in Rouen. Pascal's earliest work was in the natural and applied sciences where he made important contributions to the study of fluids, and clarified the concepts of pressure and vacuum by generalizing the work of Evangelista Torricelli. Pascal also wrote in defense of the scientific method. In 1642, while still a teenager, he started some pioneering work on calculating machines. After three years of effort and fifty prototypes, he built 20 finished machines (called Pascal's calculators and later Pascalines) over the following ten years, establishing him as one of the first two inventors of the mechanical calculator. Pascal was an important mathematician, helping create two major new areas of research: he wrote a significant treatise on the subject of projective geometry at the age of 16, and later corresponded with Pierre de Fermat on probability theory, strongly influencing the development of modern economics and social science. Following Galileo and Torricelli, in 1646, he refuted Aristotle's followers who insisted that nature abhors a vacuum. Pascal's results caused many disputes before being accepted. 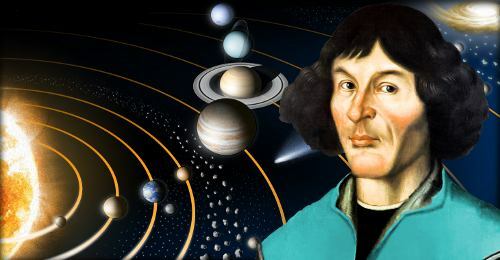 Nicolaus Copernicus (19 February 1473 – 24 May 1543) was a Renaissance mathematician and astronomer who formulated a model of the universe that placed the Sun rather than the Earth at the center of the universe. The publication of this model in his book 'De revolutionibus orbium coelestium' (On the Revolutions of the Celestial Spheres) just before his death in 1543 is considered a major event in the history of science, triggering the Copernican Revolution and making an important contribution to the Scientific Revolution. Copernicus was born and died in Royal Prussia, a region that had been a part of the Kingdom of Poland since 1466. 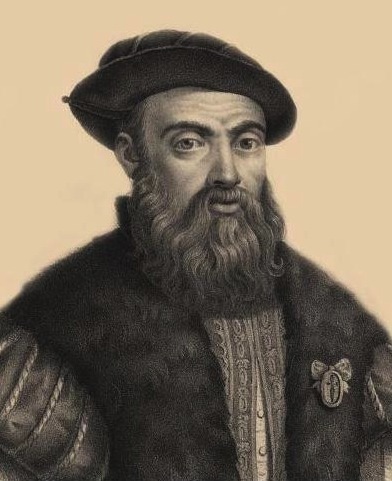 He was a polyglot and polymath who obtained a doctorate in canon law and also practiced as a physician, classics scholar, translator, governor, diplomat, and economist. Like the rest of his family, he was a third order Dominican. In 1517 he derived a quantity theory of money – a key concept in economics – and in 1519 he formulated a version of what later became known as Gresham's law. 44. 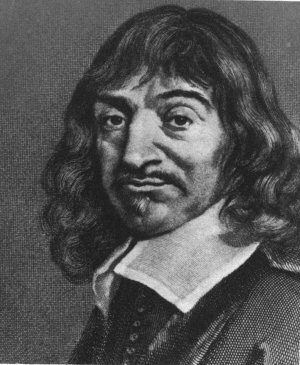 René Descartes (31 March 1596 – 11 February 1650) was a French philosopher, mathematician, and scientist. Dubbed the father of modern philosophy, much of subsequent Western philosophy is a response to his writings, which are studied closely to this day. He spent about 20 years of his life in the Dutch Republic. Descartes's Meditations on First Philosophy continues to be a standard text at most university philosophy departments. Descartes's influence in mathematics is equally apparent; the Cartesian coordinate system — allowing reference to a point in space as a set of numbers, and allowing algebraic equations to be expressed as geometric shapes in a two- or three-dimensional coordinate system (and conversely, shapes to be described as equations) — was named after him. He is credited as the father of analytical geometry, the bridge between algebra and geometry, used in the discovery of infinitesimal calculus and analysis. Descartes was also one of the key figures in the scientific revolution. 45. Dmitri Ivanovich Mendeleev, 8 February 1834 – 2 February 1907, Russian chemist. He is famous for his formulation (1869) of the periodic law and the invention of the periodic table, a classification of the elements; with Lothar Meyer, who had independently reached similar conclusions, he was awarded the Davy medal in 1882. From his remarkable table Mendeleev predicted the properties of elements then unknown; three of these (gallium, scandium, and germanium) were later discovered. He studied also the nature of solutions and the expansion of liquids. An outstanding teacher, he was professor at the Univ. of St. Petersburg (1868–90). He directed the bureau of weights and measures from 1893 and served as government adviser on the development of the petroleum industry. His Principles of Chemistry (2 vol., 1868–71; tr. 1905) was long a standard text. Various transliterations of his surname are common, among them Mendeleyev and Mendelejeff. 46. 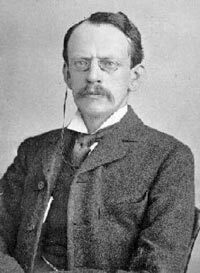 Sir Joseph John Thomson (18 December 1856 – 30 August 1940) was an English physicist. He was elected as a fellow of the Royal Society of London and appointed to the Cavendish Professorship of Experimental Physics at the Cambridge University's Cavendish Laboratory in 1884. 47. Henry Cavendish was born in Nice, France, on October 10, 1731, the oldest son of Lord Charles Cavendish and Lady Anne Grey, who died a few years after Henry was born. As a youth he attended Dr. Newcomb's Academy in Hackney, England. He entered Peterhouse, Cambridge, in 1749, but left after three years without taking a degree. Cavendish returned to London, England to live with his father. There, Cavendish built himself a laboratory and workshop. When his father died in 1783, Cavendish moved the laboratory to Clapham Common, where he also lived. He never married and was so reserved that there is little record of his having any social life except occasional meetings with scientific friends. During his lifetime Cavendish made notable discoveries in chemistry, mainly between 1766 and 1788, and in electricity, between 1771 and 1788. In 1798 he published a single notable paper on the density of the earth. At the time Cavendish began his chemical work, chemists were just beginning to recognize that the "airs" that were evolved in many chemical reactions were clear parts and not just modifications of ordinary air. Cavendish reported his own work in "Three Papers Containing Experiments on Factitious Air" in 1766. These papers added greatly to knowledge of the formation of "inflammable air" (hydrogen) by the action of dilute acids (acids that have been weakened) on metals. Cavendish's other great achievement in chemistry is his measuring of the density of hydrogen. Although his figure is only half what it should be, it is astonishing that he even found the right order. Not that his equipment was crude; where the techniques of his day allowed, his equipment was capable of precise results. Cavendish also investigated the products of fermentation, a chemical reaction that splits complex organic compounds into simple substances. He showed that the gas from the fermentation of sugar is nearly the same as the "fixed air" characterized by the compound of chalk and magnesia (both are, in modern language, carbon dioxide). Another example of Cavendish's ability was "Experiments on Rathbone-Place Water"(1767), in which he set the highest possible standard of accuracy. "Experiments" is regarded as a classic of analytical chemistry (the branch of chemistry that deals with separating substances into the different chemicals they are made from). In it Cavendish also examined the phenomenon (a fact that can be observed) of the retention of "calcareous earth" (chalk, calcium carbonate) in solution (a mixture dissolved in water). In doing so, he discovered the reversible reaction between calcium carbonate and carbon dioxide to form calcium bicarbonate, the cause of temporary hardness of water. He also found out how to soften such water by adding lime (calcium hydroxide). One of Cavendish's researches on the current problem of combustion (the process of burning) made an outstanding contribution to general theory. In 1784 Cavendish determined the composition (make up) of water, showing that it was a combination of oxygen and hydrogen. 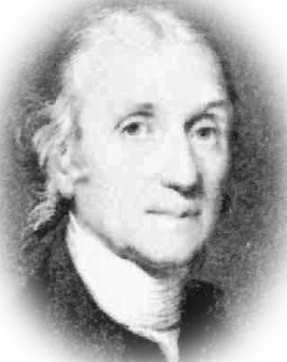 Joseph Priestley (1733–1804) had reported an experiment in which the explosion of the two gases had left moisture on the sides of a previously dry container. Cavendish studied this, prepared water in measurable amount, and got an approximate figure for its volume composition. Cavendish published only a fraction of the experimental evidence he had available to support his theories, but his peers were convinced of the correctness of his conclusions. He was not the first to discuss an inverse-square law of electrostatic attraction (the attraction between opposite—positive and negative—electrical charges). Cavendish's idea, however, based in part on mathematical reasoning, was the most effective. He founded the study of the properties of dielectrics (nonconducting electricity) and also distinguished clearly between the amount of electricity and what is now called potential. Cavendish had the ability to make a seemingly limited study give far-reaching results. An example is his study of the origin of the ability of some fish to give an electric shock. He made up imitation fish of leather and wood soaked in salt water, with pewter (tin) attachments representing the organs of the fish that produced the effect. By using Leyden jars (glass jars insulated with tinfoil) to charge the imitation organs, he was able to show that the results were entirely consistent with the fish's ability to produce electricity. This investigation was among the earliest in which the conductivity of aqueous (in water) solutions was studied. Cavendish began to study heat with his father, then returned to the subject in 1773–1776 with a study of the Royal Society's meteorological instruments. (The Royal Society is the world's oldest and most distinguished scientific organization.) During these studies he worked out the most important corrections to be employed in accurate thermometry (the measuring of temperature). In 1783 he published a study of the means of determining the freezing point of mercury. In it he added a good deal to the general theory of fusion (melting together by heat) and freezing and the latent heat changes that accompany them (the amount of heat absorbed by the fused material). Cavendish's most celebrated investigation was that on the density of the earth. He took part in a program to measure the length of a seconds pendulum close to a large mountain (Schiehallion). Variations from the period on the plain would show the attraction put out by the mountain, from which the density of its substance could be figured out. Cavendish also approached the subject in a more fundamental way by determining the force of attraction of a very large, heavy lead ball for a very small, light ball. The ratio between this force and the weight of the light ball would result in the density of the earth. His results went unquestioned for nearly a century. Had Cavendish published all of his work, his already great influence would undoubtedly have been greater. In fact, he left in manuscript form a vast amount of work that often anticipated the work of those who followed him. It came to light only bit by bit until the thorough study undertaken by James Maxwell (1831–1879) and by Edward Thorpe (1845–1925). In these notes is to be found such material as the detail of his experiments to examine the conductivity of metals, as well as many chemical questions such as a theory of chemical equivalents. He even had a theory of partial pressures before John Dalton (1766–1844). However, the history of science is full of instances of unpublished works that might have influenced others but in fact did not. Whatever he did not reveal, Cavendish gave other scientists enough to help them on the road to modern ideas. Nothing he did has been rejected, and for this reason he is still, in a unique way, part of modern life. Albert Einstein (14 March 1879 – 18 April 1955) was a German-born theoretical physicist. He developed the general theory of relativity, one of the two pillars of modern physics (alongside quantum mechanics). Einstein's work is also known for its influence on the philosophy of science. Einstein is best known in popular culture for his mass–energy equivalence formula E = mc^2 (which has been dubbed "the world's most famous equation"). He received the 1921 Nobel Prize in Physics for his "services to theoretical physics", in particular his discovery of the law of the photoelectric effect, a pivotal step in the evolution of quantum theory. Near the beginning of his career, Einstein thought that Newtonian mechanics was no longer enough to reconcile the laws of classical mechanics with the laws of the electromagnetic field. This led to the development of his special theory of relativity. He realized, however, that the principle of relativity could also be extended to gravitational fields, and with his subsequent theory of gravitation in 1916, he published a paper on general relativity. He continued to deal with problems of statistical mechanics and quantum theory, which led to his explanations of particle theory and the motion of molecules. He also investigated the thermal properties of light which laid the foundation of the photon theory of light. In 1917, Einstein applied the general theory of relativity to model the large-scale structure of the universe. 49. Antonie Philips van Leeuwenhoek (October 24, 1632 – August 26, 1723) was a Dutch tradesman and scientist. He is commonly known as "the Father of Microbiology", and considered to be the first microbiologist. He is best known for his work on the improvement of the microscope and for his contributions towards the establishment of microbiology. Raised in Delft, Netherlands, Van Leeuwenhoek worked as a draper in his youth, and founded his own shop in 1654. He made a name for himself in municipal politics, and eventually developed an interest in lensmaking. Using his handcrafted microscopes, he was the first to observe and describe microorganisms, which he originally referred to as animalcules. Most of the "animalcules" are now referred to as unicellular organisms though he observed multicellular organisms in pond water. He was also the first to document microscopic observations of muscle fibers, bacteria, spermatozoa, and blood flow in capillaries (small blood vessels). Van Leeuwenhoek did not author any books; his discoveries came to light through correspondence with the Royal Society, which published his letters. Archimedes of Syracuse (c. 287 BC – c. 212 BC) was an Ancient Greek mathematician, physicist, engineer, inventor, and astronomer. Although few details of his life are known, he is regarded as one of the leading scientists in classical antiquity. Generally considered the greatest mathematician of antiquity and one of the greatest of all time, Archimedes anticipated modern calculus and analysis by applying concepts of infinitesimals and the method of exhaustion to derive and rigorously prove a range of geometrical theorems, including the area of a circle, the surface area and volume of a sphere, and the area under a parabola. Archimedes died during the Siege of Syracuse when he was killed by a Roman soldier despite orders that he should not be harmed. Cicero describes visiting the tomb of Archimedes, which was surmounted by a sphere and a cylinder, which Archimedes had requested to be placed on his tomb, representing his mathematical discoveries. Unlike his inventions, the mathematical writings of Archimedes were little known in antiquity. Mathematicians from Alexandria read and quoted him, but the first comprehensive compilation was not made until c. 530 AD by Isidore of Miletus in Byzantine Constantinople, while commentaries on the works of Archimedes written by Eutocius in the sixth century AD opened them to wider readership for the first time. The relatively few copies of Archimedes' written work that survived through the Middle Ages were an influential source of ideas for scientists during the Renaissance, while the discovery in 1906 of previously unknown works by Archimedes in the Archimedes Palimpsest has provided new insights into how he obtained mathematical results. The South African surgeon Christiaan N. Barnard (8 November 1922 – 2 September 2001) performed the world's first human heart transplant operation in 1967 and the first double-heart transplant in 1974. 52. 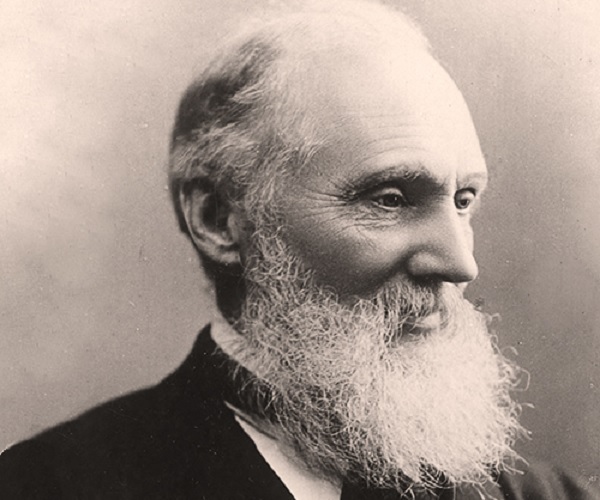 William Thomson, 1st Baron Kelvin (26 June 1824 – 17 December 1907) was an Irish mathematical physicist and engineer who was born in Belfast in 1824. At the University of Glasgow he did important work in the mathematical analysis of electricity and formulation of the first and second laws of thermodynamics, and did much to unify the emerging discipline of physics in its modern form. He worked closely with mathematics professor Hugh Blackburn in his work. He also had a career as an electric telegraph engineer and inventor, which propelled him into the public eye and ensured his wealth, fame and honour. For his work on the transatlantic telegraph project he was knighted by Queen Victoria, becoming Sir William Thomson. He had extensive maritime interests and was most noted for his work on the mariner's compass, which had previously been limited in reliability. 53. Alessandro Giuseppe Antonio Anastasio Volta (18 February 1745 – 5 March 1827) was an Italian physicist, chemist, and a pioneer of electricity and power, who is credited as the inventor of the electrical battery and the discoverer of methane. He invented the Voltaic pile in 1799 and the results of which he reported in 1800 in a two-part letter to the President of the Royal Society. With this invention Volta proved that electricity could be generated chemically and debased the prevalent theory that electricity was generated solely by living beings. Volta's invention sparked a great amount of scientific excitement and led others to conduct similar experiments which eventually led to the development of the field of electrochemistry. 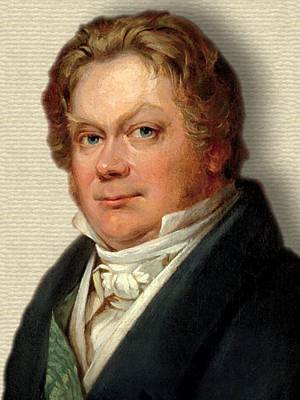 Baron Jöns Jacob Berzelius (20 August 1779 – 7 August 1848), named by himself and contemporary society as Jacob Berzelius, was a Swedish chemist. Berzelius is considered, along with Robert Boyle, John Dalton, and Antoine Lavoisier, to be one of the founders of modern chemistry. Berzelius himself discovered and isolated several new elements, including cerium (1803) and thorium (1828). Berzelius’s interest in mineralogy also fostered his analysis and preparation of new compounds of these and other elements. He was a strict empiricist and insisted that any new theory be consistent with the sum of chemical knowledge. He developed classical analytical techniques, and investigated isomerism and catalysis, phenomena that owe their names to him. He became a member of the Royal Swedish Academy of Sciences in 1808 and served from 1818 as its principal functionary, the perpetual secretary. He is known in Sweden as "the Father of Swedish Chemistry". Berzelius Day is celebrated on 20 August in honour of him. Johannes Kepler (December 27, 1571 – November 15, 1630) was a German mathematician, astronomer, and astrologer. A key figure in the 17th century scientific revolution, he is best known for his laws of planetary motion, based on his works Astronomia nova, Harmonices Mundi, and Epitome of Copernican Astronomy. These works also provided one of the foundations for Isaac Newton's theory of universal gravitation. 58. Captain James Cook (7 November 1728 – 14 February 1779) was a British explorer, navigator, cartographer, and captain in the Royal Navy. Cook made detailed maps of Newfoundland prior to making three voyages to the Pacific Ocean, during which he achieved the first recorded European contact with the eastern coastline of Australia and the Hawaiian Islands, and the first recorded circumnavigation of New Zealand. 59. 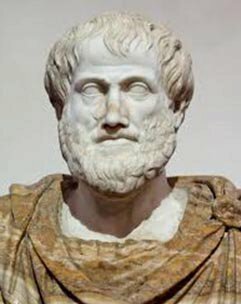 Aristotle (384-322 BC) was a Greek philosopher and scientist born in the city of Stagira, Chalkidice, on the northern periphery of Classical Greece. His father, Nicomachus, died when Aristotle was a child, whereafter Proxenus of Atarneus became his guardian. At eighteen, he joined Plato's Academy in Athens and remained there until the age of thirty-seven (c. 347 BC). His writings cover many subjects – including physics, biology, zoology, metaphysics, logic, ethics, aesthetics, poetry, theater, music, rhetoric, linguistics, politics and government – and constitute the first comprehensive system of Western philosophy. 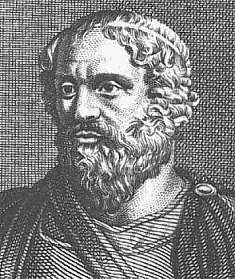 Shortly after Plato died, Aristotle left Athens and, at the request of Philip of Macedon, tutored Alexander the Great starting from 343 BC. According to the Encyclopædia Britannica, "Aristotle was the first genuine scientist in history ... [and] every scientist is in his debt." In metaphysics, Aristotelianism profoundly influenced Judeo-Islamic philosophical and theological thought during the Middle Ages and continues to influence Christian theology, especially the scholastic tradition of the Catholic Church. Aristotle was well known among medieval Muslim intellectuals and revered as "The First Teacher".